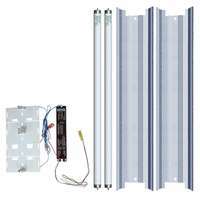 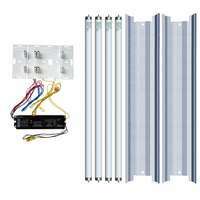 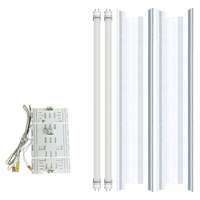 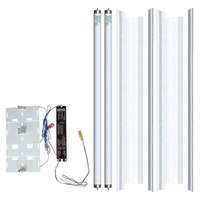 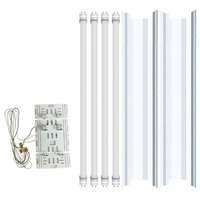 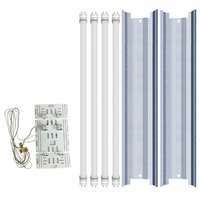 If you have 8 foot slim line or HO strip fixtures here is the easiest way to retrofit them. 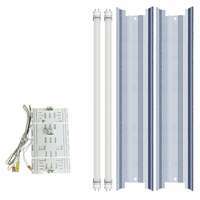 Take a look at the different configurations. They come in box kits with the ballasts, mounting brackets with sockets, all mounting hardware and your choice of enhanced aluminum or white reflector. This is the best time to get your easy to use kits.